(Conference Workshop) Design, Art and Symbolic Enigmas: Uncanny artefacts. Mollon, M. (2014). Design, Art and Symbolic Enigmas: Uncanny artefacts. In A. Gentes (Ed. ), (pp. 1–80). 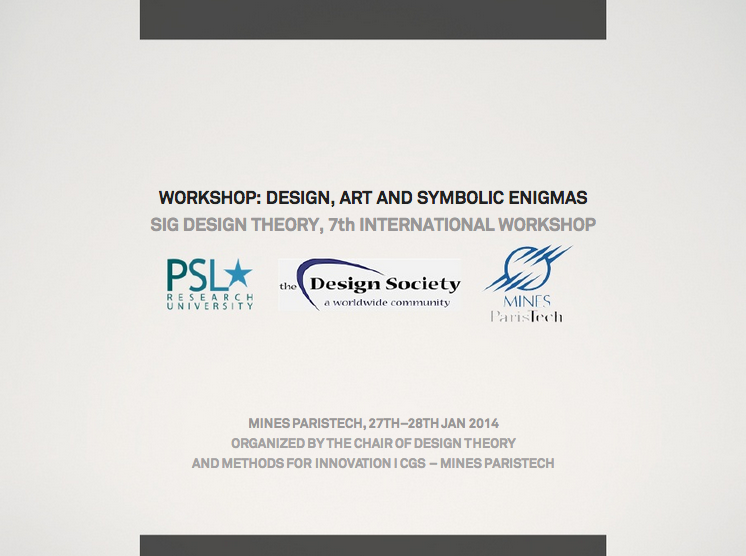 Presented at the 7th SIG Design Theory, Mines Paristech, Paris (27- 28th Jan.). Presenting Max’s PhD design space, discussing and debating it with workshop participants. Supervised by Annie Gentès. Given at 7th SIG Design Theory, Mines Paristech (Paris).